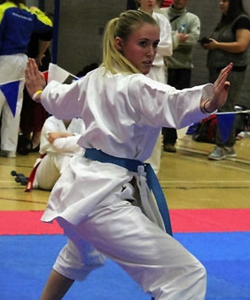 The objective of the Dôkan Karate club is to teach the highest quality traditional karate combined the highest quality sport karate and we do just this. With one of the very top competition squads in the UK today Dokan are a premiership club at the very top of a premiership league. Shotokan logo Dôkan Karate is a Shotokan Karate club with branches in Sunderland and South Tyneside. The club Dokan was established in 2009 when Sensei Kev pulled away from Gudo Nishijima and set new goals and targets for the creation Dokan and it has since grown to become an Association in direct membership of the English Karate Federation. WHITBURN PARISH HALL SR6 7JZ (near Whitburn pond). This is a new club and will be aimed at the lower grades and new starters. A good starter club with a nice friendly atmosphere. BUNNYHILL CENTRE DOWNHILL SR5 4BW (downstairs to walk in centre). This is a busy venue with the second hour being a kumite (sparring) only session. Choose one or two hours. An ideal beginners club with lots of young kids attending. Currently our quietest venue. A mixed grade club with predominantly lower grades and younger kids. Good beginners club. The second hour is aimed at low grades with ambition. ALL SAINTS CHURCH HALL, Sunderland Rd, CLEADON SR6 7UR (on the main road near the pond). Choose one or two hours. Second hour is mostly sparring (kumite). Adult session follows from 7.00 till 8.00. REDHOUSE COMMUNITY CENTRE SR5 5LJ (next door to Redhouse Comp/ Academy). Choose one or two hours. Second hour is sparring (kumite) only. Great little kids and beginner session. Probably our last competition of 2017 and also Dokan's largest squad with just over 90 Dokan students in attendance. Only two weeks after the North of England we had our final external tournament of 2017 down Manchester. A new competition aimed at young students under 18 years of age. With some really good categories aimed at low grade students I expected a big turn out from Dokan. In 2016 I took part in the Boxing day dip. Just three Dokan dads trying to raise a bit cash for the club funds. I thought then how much more fun it would of been if we could involve the kids too. 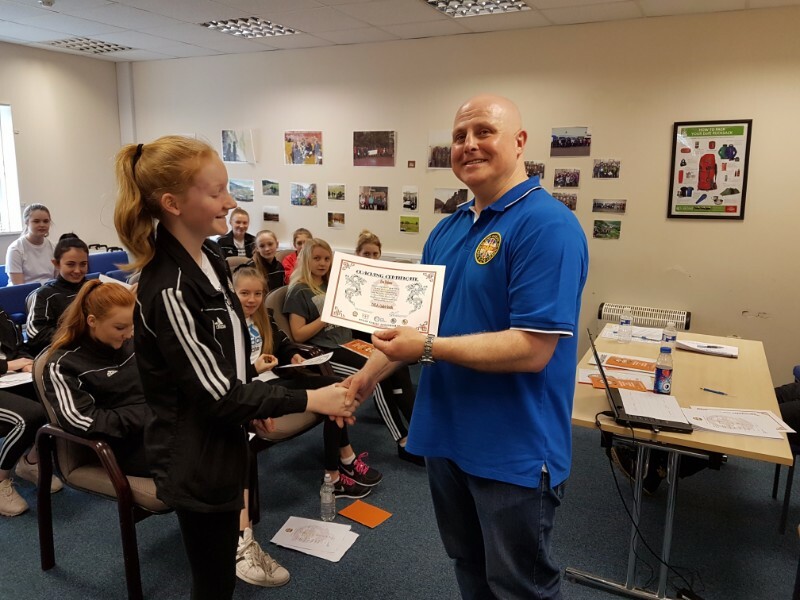 For the bulk of our squad this was a return to the competition scene after a summer respite, for some of the younger ones it had been almost 6 month and it was time to see if the hard work they have put in recently was enough to secure success. Another year ends and the annual Christmas parties become ever more popular and better every time. Since the day I took a karate club over I have aimed to continuously improve my teaching methods and thus improve the standard of student I turn out. It has been a struggle to keep students happy while not grading them every couple of month like a lot of their friends do at other clubs but I have done what I had to do to create one of the best clubs in England today. Central England Tournament Worcester 2017. I planned this comp as far back as December in order to secure hotel rooms and every year I struggle to get replies yet by the time the tournament arrives we have always mustered a large squad. 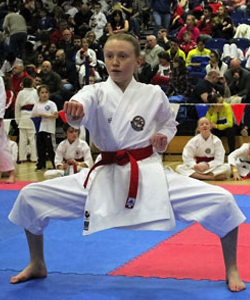 This year 28 Dokan students attended the busiest Worcester comp to date. The huge stadium was rammed full of competitors and spectators. I was very worried the event would over run and the standard of club attending was also mildly worrying as I looked round at top quality familiar faces from the competition circuit. 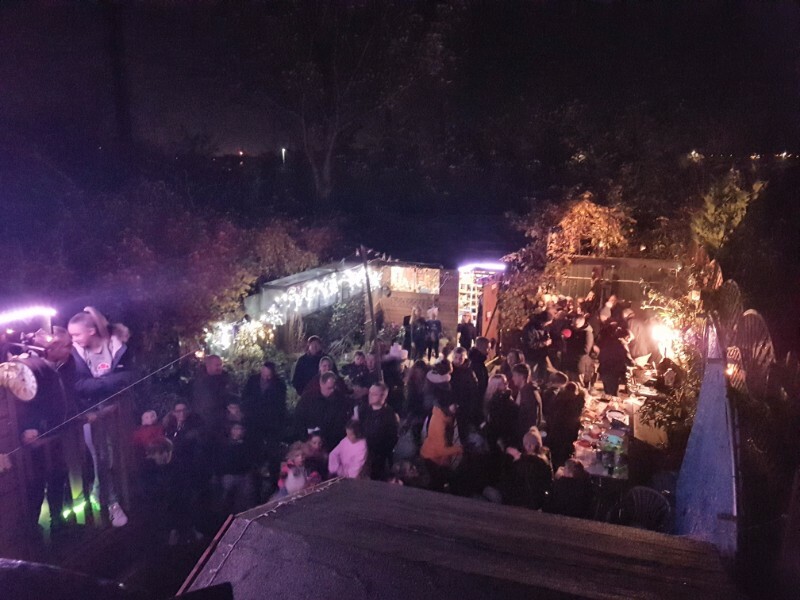 Only our second garden party of 2017 but it went off with a bang. 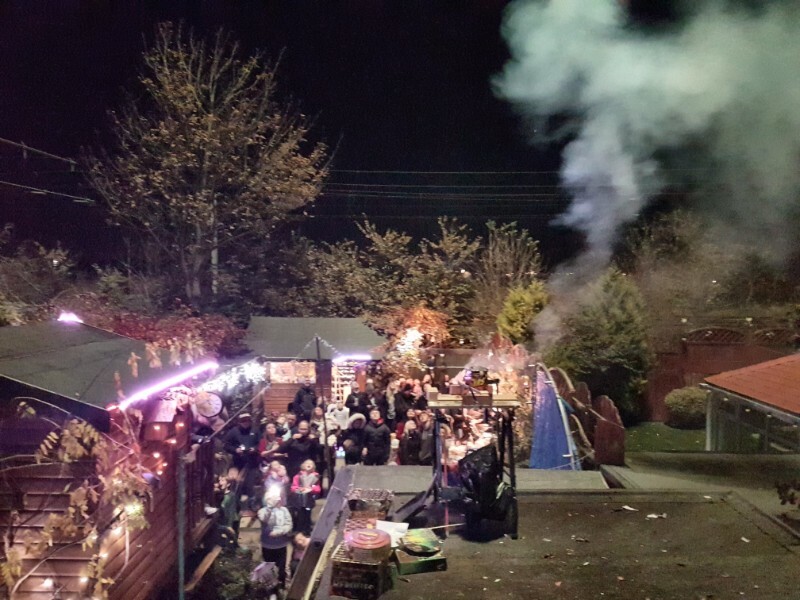 For the past 6 or 7 year I have put on a firework display and invited in some students and friends from the club. This event is growing yearly and just like everything we do it gets better each year. After spending about 6 hours setting my garden up on Thursday ( I knew I would have no time that weekend due to competing down Manchester) It was just a case of keeping my fingers crossed it did not rain. The weather held and we had two burners going all night to keep folk warm. 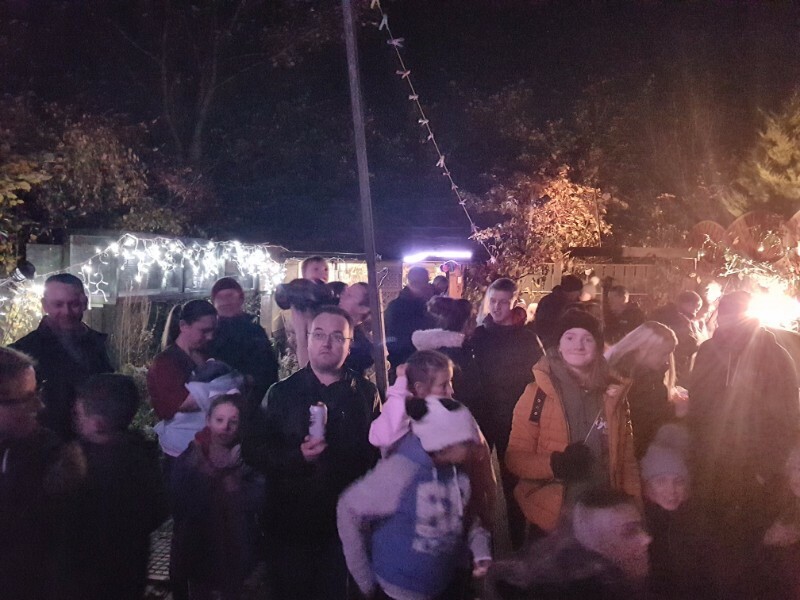 With plenty of marshmallows and a wide choice of barbecued food plus chilli etc no one went hungry. 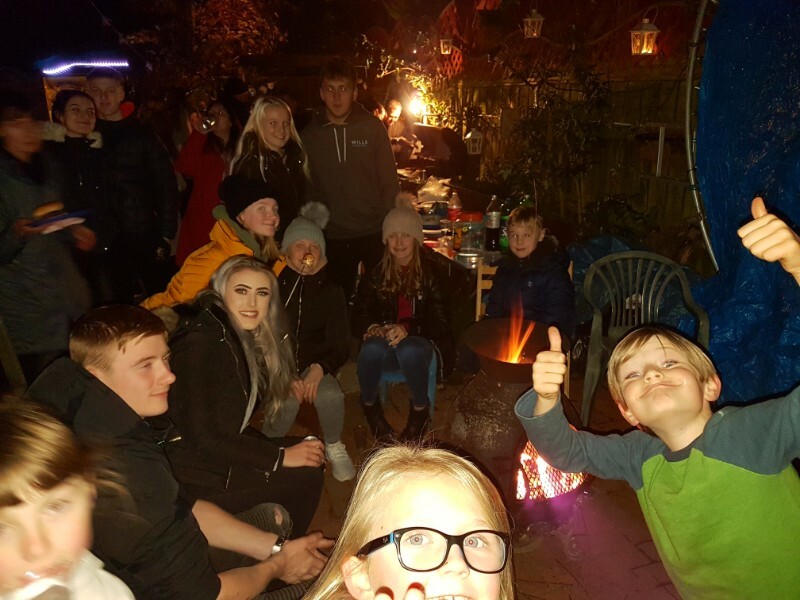 I set the fireworks off just after 6.00 and most people left by 8.00 to get their kids to bed for school the next day. The fireworks themselves, I buy large display ones from a wholesaler and plan an even bigger display next year. A lot of the new parents were impressed how good the fireworks were and all in all everyone seemed to have a good time. The kids were buzzing at the club the following day talking about the evening. Although I pay for the food / drink and the fireworks I had a donation pot out for anyone who felt the need to give something. The money raised will go towards Dokans Tyne Tees open comp in 2018 where I want to pay half or more of every kids fee from my club and ensure a bigger entry. Money donated totalled £85. Thank you to all the parents that donated. Our second time in the larger and much better venue of Temple park and it is starting to feel like a home venue already. This summer saw over 100 students from various clubs around the country make the journey north to compete against Dokan squads 75 entries. All in all over 170 students competing is not too bad. Many thanks to all my association clubs that supported the comp and to those external entries without whom it could not run. Dokan have 2 large gradings a year and one smaller spring grading. There is no rush to grade and as we run a quality outfit I prefer my students to be highly competent before they grade. This summer we had a fantastic standard from our beginners and low grades. The best ever to be fair and the day flew by ahead of schedule for a change. Notable sections were the white belts who although nervous and lacking confidence were totally ready to grade and I could see plenty of potential in there. Now to get them attending proper clubs and up their ambitions. When the EKF decided to remove all under 12 year old sections from the English Nationals we were left with a large gap to fill. There seemed to be very little about in May and then I remembered the invite from Paul Campbell to attend his summer comp. A text was sent and withing 2 days we had a healthy squad of 26 students signed up for the weekend. One week after the Swedish open a hasty squad was put together to enter this year Chojinkai tournament which is a top quality competition with encouraging categories for all ages and grades below 17 years. The volume of categories on offer enabled me to invite in a larger span of students and we ended up entering 45 which was decent attempt on one weeks’ notice. A small squad of 12 kids accompanied by their parents set of from Edinburgh airport for Copenhagen on March 4th where we caught a train to Malmo the host town of the Swedish international. 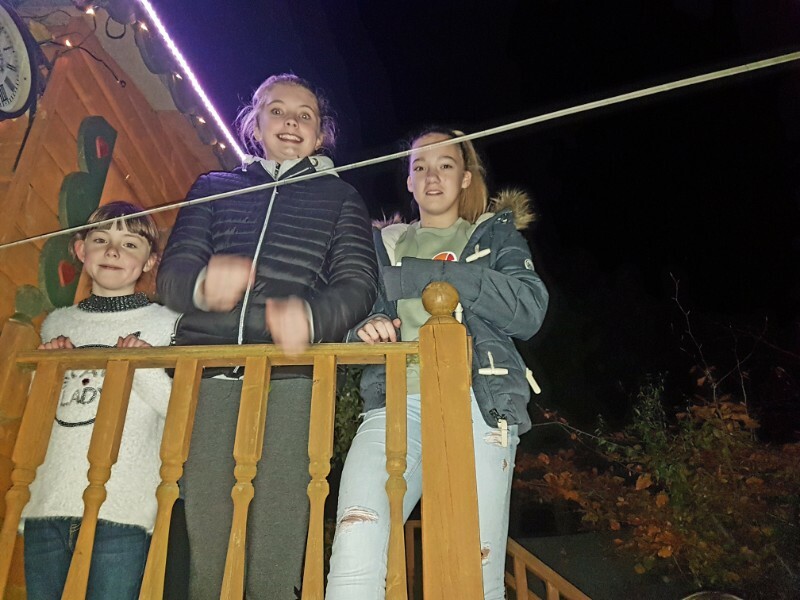 Spirits were high and the kids were all excited not only to be competing abroad but to all be together for a weekend away. 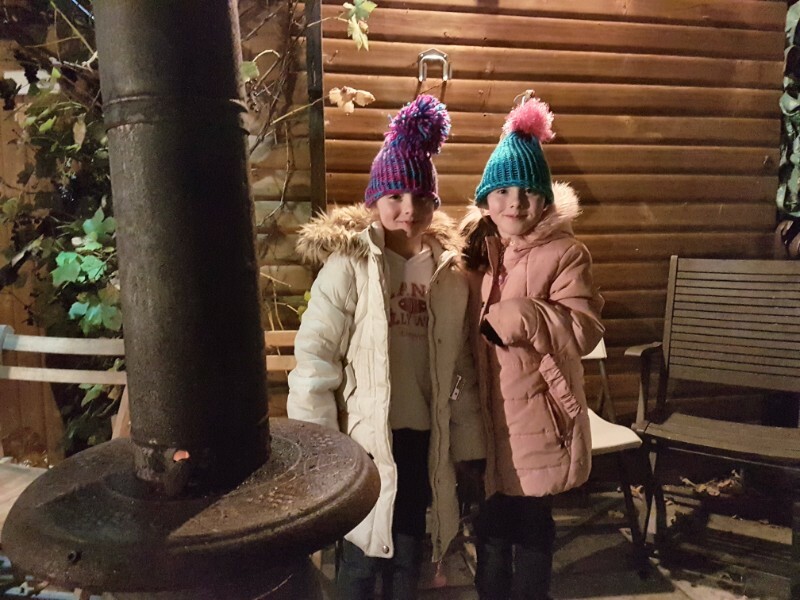 We arrived in Malmo just before dark and walked to our hotel which Dokan tour guide Emma Cassidy had found for us and what a beautiful hotel it was, and right in the town centre too. Great work Emma. Friday night after the meal where thirty of us descended on a steak house we ended up back at the hotel bar for Malmos big Friday night venue and the 70s soul train. An interesting night ensued. At the tournament the Saturday was all the adult events which meant we had a day to explore the town. Some caught the train to Copenhagen but most looked round Malmo itself which I found to be an interesting enough place with some pretty features. I hired a pedal bike for a better look round. YORKSHIRE OPEN FEBRUARY 2017. Now the Kyu grades were busy but they have 8 areas and lots of refs, the Yorkshire have 7 areas and not all are full size and a distinct shortage of quality refs, so these days are very different but the standard was as good at both. It is nice to compete at the highest standards but sometimes it’s even nicer just to have a few easy wins. There seems to be little of this nowadays but our kids were amazing and pulled off their usual personal best performances. This day turned out to be epic in more ways than one. This is the final year that the Kyu Grade nationals will be held at Ponds Forge Sheffield as the event is now so popular it has out grown the venue. 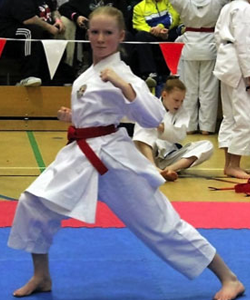 This year the tournament had over 1100 entries and was still going on when we pulled out of the under nine years team kumite at 8.00 pm, this section had 60 under nine year old boys entered. 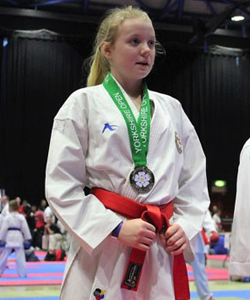 The categories were so huge every medal won on the day was well deserved and the Dokan students did themselves, their club and the North East proud. You are more than welcome to just turn up at one of our clubs and either join in or sit quietly and watch.